Anime News Network caught word Friday through Japanese media sources that Keiko Tobe, a mangaka best known for creating the autism-related drama With The Light, died on January 28 after a lengthy illness that by January of 2009 had progressed to point of a work stoppage that was never rescinded, leaving her major work incomplete. She was 52 years old. As far as I can tell, the exact nature of Tobe's illness was never revealed to the press. According to public sources, Tobe was born in the Kansai region of Japan in 1957. Like many eventual cartoonists, she displayed a precociousness in terms of creating her own, amateur work, and had an older sibling that was more advanced in terms of that artistic pursuit to help spur her on. 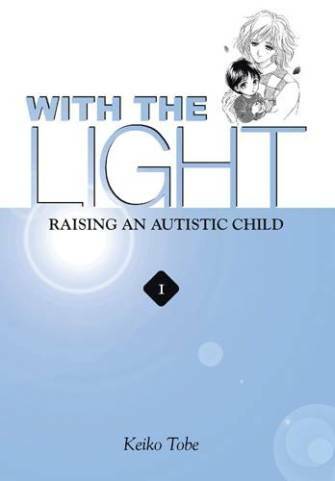 The genesis of With The Light came when her younger of two sons had a classmate with autism, and her reaction to the hopes and desires of that student's parents. Tobe launched her story in 2000, focusing on the Azuma family and mother Sachiko as she negotiated an occasionally-indifferent husband and a society that struggles with the needs of her autistic older child, Hikaru. Its title in Japan is translated as For Mrs., and it was collected in that country by Akita Shoten into 14 volumes to date. 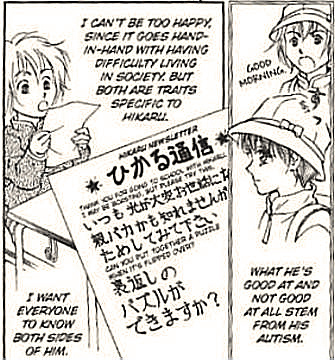 In addition to touching on some of the universal concerns facing parents with autistic children, Tobe's work delved into specific of Japan's attitudes towards autism and attempted at all times to show sympathy for how people with autism perceive and face the world. The story won a prize for excellence in 2004 from the Ministry of Cultural Affairs at the Japan Media Arts Festival, and was the basis of an award-winning television drama that same year. In 2007, it was picked by emerging Yen Press as one of its offerings, debuting on bookstore shelves in collected form in September of that year. It received a number of similarly sympathetic reviews. Deb Aoki of About.com praised the story's artwork, general authority on the issues portrayed and ability to reach new audiences even as she strongly criticized many of its melodramatic elements including two-dimensional characterizations. With The Light's first volume sold well enough for Yen to commit to future books, eventually putting out ten of the Japanese editions' worth of comics in five English-language volumes. 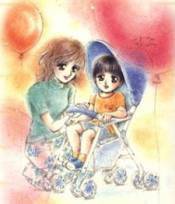 The series had been discontinued in January of last year due to the cartoonist's illness. A private memorial service restricted to close family members was scheduled.